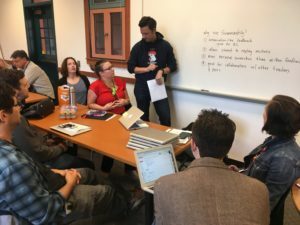 Over the years, as Berkeley teachers have found more and more ways to integrate technology into the curriculum, the DigiTech collection of resources has grown. When teachers ask the question, “How do I … [fill in the blank] with technology?”, DigiTech often creates new how-to guides. We’ve realized that lots of teachers could benefit from quick access to these resources — to explore whenever a new idea or a question about teaching with technology comes up. For that very reason, with input from the Tech Teacher Leaders about what to include and how to best organize it, DigiTech has created a website specifically for teachers (students should keep using the BUSD library pages to access digital tools and resources). 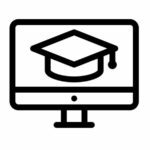 The new DigiTech website contains resources created by our department specifically for Berkeley teachers. We will continue to update it so we welcome your feedback. Teachers: You may read the following overview of the different sections or just start exploring: digitech.berkeley.net. 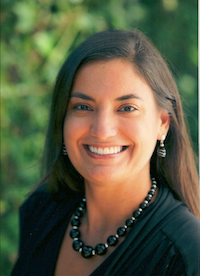 Technical Support – with information about tech hardware, Illuminate, and a link to the BUSD help desk. DigiTech Team members will continue to support all of the school sites so reach out to us anytime. We look forward to collaborating with you during the 2018-2019 school year. Welcome back! We’re excited for you to dive into our summer list of resources for super-fun math ideas. Libraries have summer reading games, our schools have summer reading logs and prizes, and it’s important to also have fun with math. Students in Ms. Wagner’s 3rd grade class at Malcolm X got a sneak peek into these hands on activities during the last week of school. This resource list includes an entire page of suggestions for building materials in addition to board games, logic puzzles, problem solving books, computer programming and online math games. Choose a few and snuggle up with your kids this summer enjoying some mathy fun. Teachers had a chance to learn from each other at an “unconference” held during a King Middle School faculty meeting. 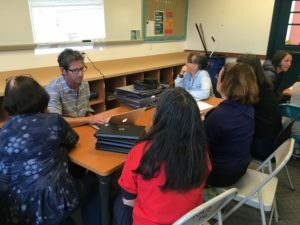 A number of teachers volunteered to lead brief sessions on topics of interest to them–including a handful that focused on tech tools. Participants had a chance to pick which presentations to attend. David Spiegelman, 7th grade humanities teacher, shared how he uses tech tools to provide feedback on students’ work. He highlighted Screencastify, a Chrome extension that records audio along with what’s on the computer screen. David adds comments to a student’s draft in Google Docs, records an explanation of his feedback, then emails the video to the student. He also mentioned the CheckMark extension which offers shortcuts for commenting on common grammar mistakes. David shared his script outline and gave teachers a chance to try out this technique. Richard Silberg, an ELD and drama teacher, demonstrated how to make use of a vocabulary profiler. He showed us the HKU CAES vocabulary profiler website and explained there are a number of sites available online, but this is the one he recommends for ease of use. 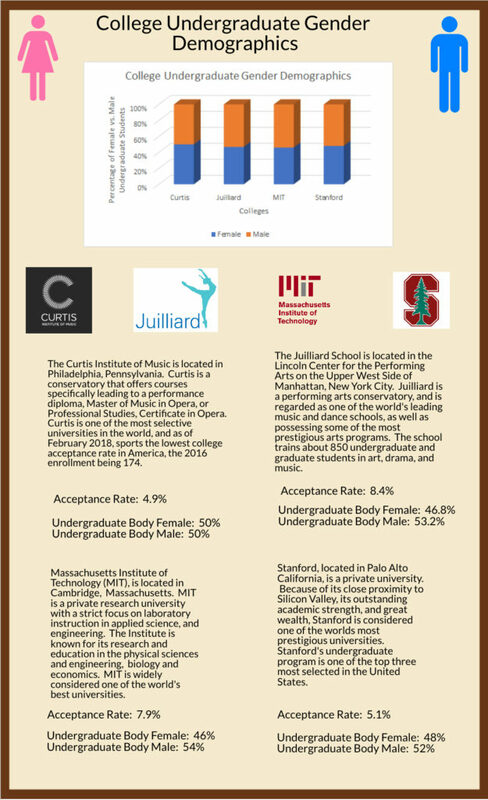 Richard pasted in a chunk of text on the site that students encounter in one the lessons from the A Story of Ratios math curriculum. Then he repeated this with a text from the Inquiry by Design English curriculum. The vocabulary profiler scanned the text and identified all vocabulary words that are part of the academic word list (AWL)–words that frequently appear in academic texts. Familiarizing oneself with these academic words can help students understand the content being studied. Jeff Selk, 8th grade humanities teacher and tech teacher leader, shared his systems for managing digital content using Google Drive. He creates a folder in his Google Drive for the new year that includes his class email lists and class rosters using Google Sheets. Then Jeff uses a Google Sheets add-on called Autocrat to share assignments with students. Jeff also discussed how he gives quizzes using Google Forms plus Autocrat for providing feedback. King’s “unconference” was a fun, engaging way for teachers to share and learn from one another! As always, if any of these tech tools intrigue you, please reach out to these teachers or any member of the DigiTech department to learn more. 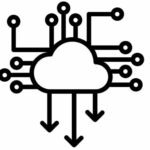 Our DigiTechTeach blog is a testament to the many and varied ways teachers are creatively incorporating technology in their classes. It is a glimpse at the larger landscape of teaching and learning happening all around us. 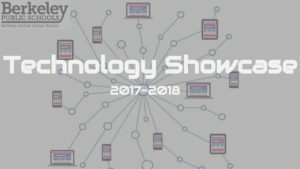 To capture a larger snapshot and broaden our view, Tech Teacher Leaders (TTLs) recently asked teachers at their schools to share examples of their work with technology. Then TTLs came together and checked out the collection by experiencing a virtual gallery walk. 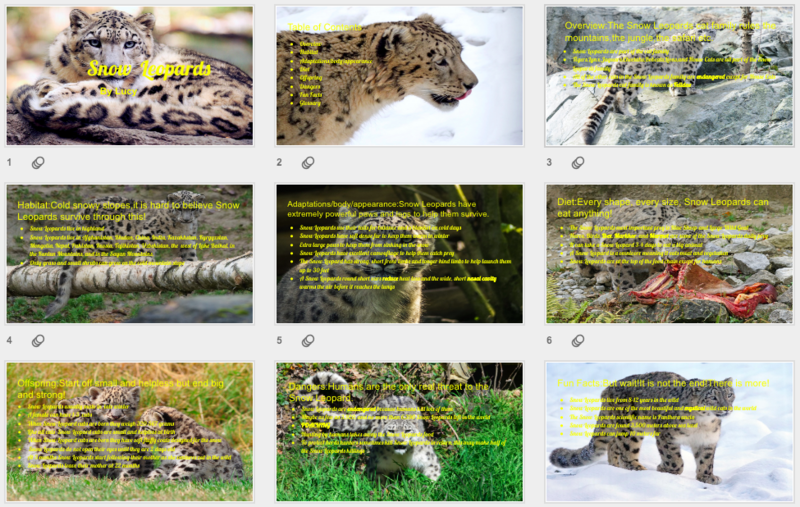 Students in Angela Reed’s 3rd grade class at Jefferson created Google Slides presentations about their chosen animal. First, they had to research information about the animal in 5 categories (overview, habitat, adaptations/body/appearance, diet, offspring, dangers, fun facts and glossary). Students learned how to choose appropriate articles to read and how to skim for information. Students also had to learn how to put the right words into the search engine in order to get the information they needed. Next, they then utilized the “boxes and bullets” note-taking structure to create a slide for each category. They had to decide which words would be included in the glossary. They also had to learn how to insert pictures and troubleshoot, such as deleting a slide. Lastly, they presented the presentation to the class and classmates were able to ask questions. At Oxford, Rachel Martin’s 4th graders were wrapping up a narrative writing unit. Rachel and art teacher Anna Rainer thought it would be fun for students to apply these skills to an art project. They had students create a storyline (either individually or in groups of 2-3) and a paper art work scene with a few characters. Then, using an iPad and the stop motion app, Anna had students capture their story. It was a lengthy, but worthwhile, process. The students were incredibly excited and engaged! 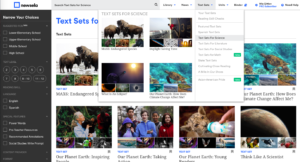 Matt Hinckley, science teacher at Longfellow Middle, uses Newsela in a Current Events in Science Assignment (CESA). Students read, take notes, and annotate an article from Newsela. 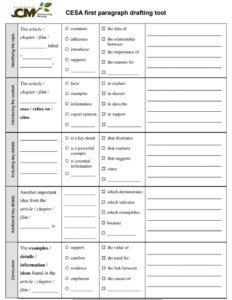 Then they take a reading comprehension quiz and write a summary with their analysis (using a Constructing Meaning writing template). All of the work gathered for the technology showcase is inspiring. The TTLs and the DigiTech department will continue working together to collect and share out ideas. Stay tuned! The Technology Teacher Leaders from all 14 Elementary and Middle Schools did an amazing job of soliciting teacher and staff input on the instructional technology tools which are found to be most valuable to teaching and learning. For our Spring 2018 Technology survey we had over 70% participation district-wide with four sites at over 80% participation. We truly value the input of everyone who took the time to respond to our survey and want to publish the results of what we learned. 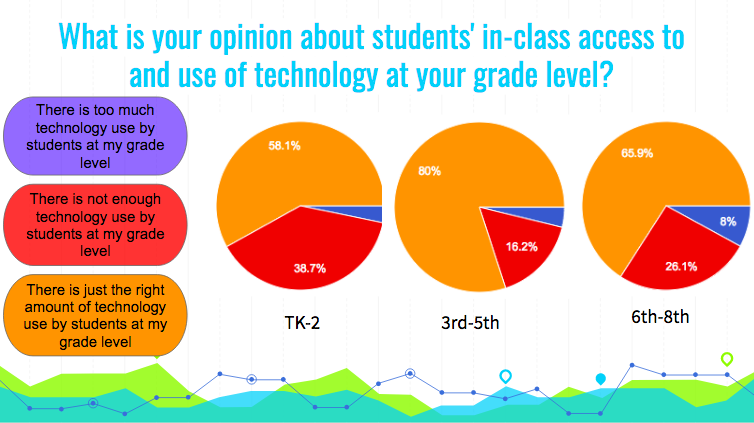 Our survey focused both on technology tools that have the greatest impact on teaching and learning and the types of professional development that have been most valuable in support of technology integration. Most Useful Instructional Tech Tools: For TK-2nd grade teachers, the tools that most impact teaching and learning are: Flocabulary, Go Noodle, Mystery Science, Raz Kids and Zearn. 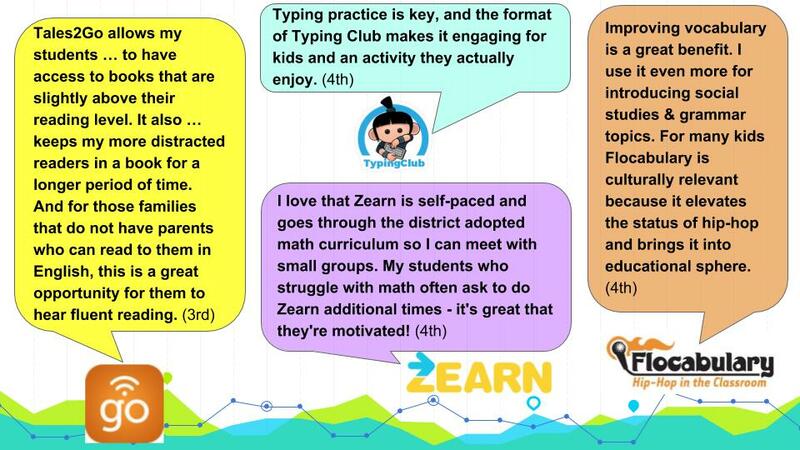 For 3rd-5th grade teachers, the tools that most impact teaching and learning are: Flocabulary, Tales2Go, Typing Club, and Zearn. Other frequently mentioned ones were Desmos, Front Row, IXL, Newsela, Raz Kids and ST Math. There was some overlap with middle school teachers whose top four tools were: Desmos, Flocabulary, Newsela, and ST Math. Other 6th-8th grade notables were IXL, Pear Deck and Tales2Go. 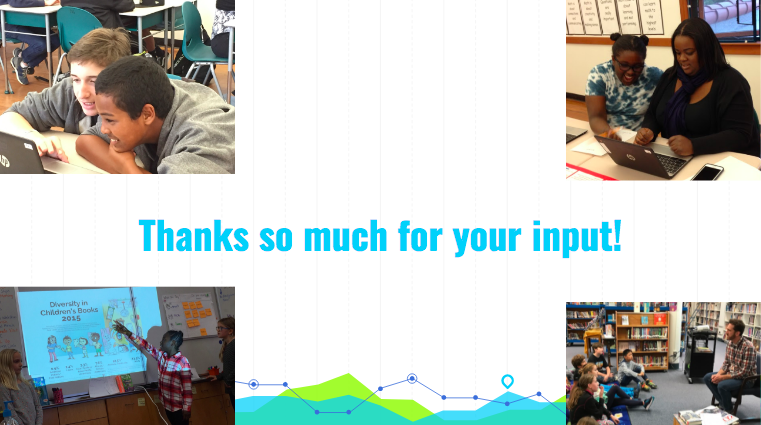 We so appreciate the time everyone took to complete the survey and and principals and Technology Teacher Leaders for administering and ensuring that such a high percentage of staff voices were heard. Funding is tight for next year and knowing what each site’s priorities are is extremely helpful as we evaluate which technology tools we are able to support through professional development and ongoing funding. 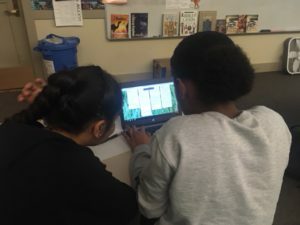 Eighth graders in Roald Dejean’s math classes at King Middle School studied math in the world around us by examining and creating infographics. As part of the graphing unit, students analyzed different kinds of graphs such as bar graphs, circle graphs, and line graphs. 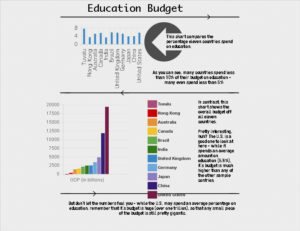 They focused on how infographics use data and graphs to present information visually. Then students collaboratively designed the culminating project with Roald. They collectively brainstormed possible topics which included the wingspan of birds, water consumption, sports statistics, and the wage gap. Students worked individually or in pairs. 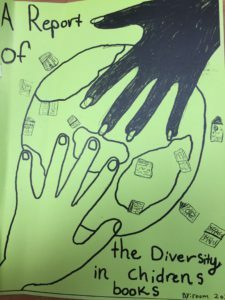 They began by selecting and researching a topic of significance to them in the library and had time over the course of two weeks in class and as homework to complete the project. After collecting their data, students entered it into Google Sheets to create graphs. Students chose from a curated list of tech tools to present their findings. 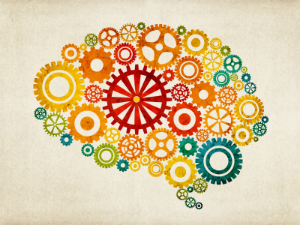 While most used Google tools such as Slides and Drawings, some experimented with platforms such as Canva and Easel.ly. This fun student-driven math project mixed together research, technology, and graphic design skills. It presented students with opportunities to collaborate and be creative, showcase their thinking, and play with math. Pick up a picture book. The one closest to you. Look through it to find out the race or ethnicity of the people depicted in the book. No people? 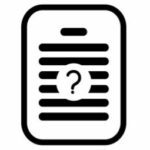 What types of characters are in the book? These are some of the questions posed by Devin Daugherty’s 4th graders as part of the Social Issues Book Clubs unit in their reading and writing curriculum, TCRWP (Teachers College Reading and Writing Project). 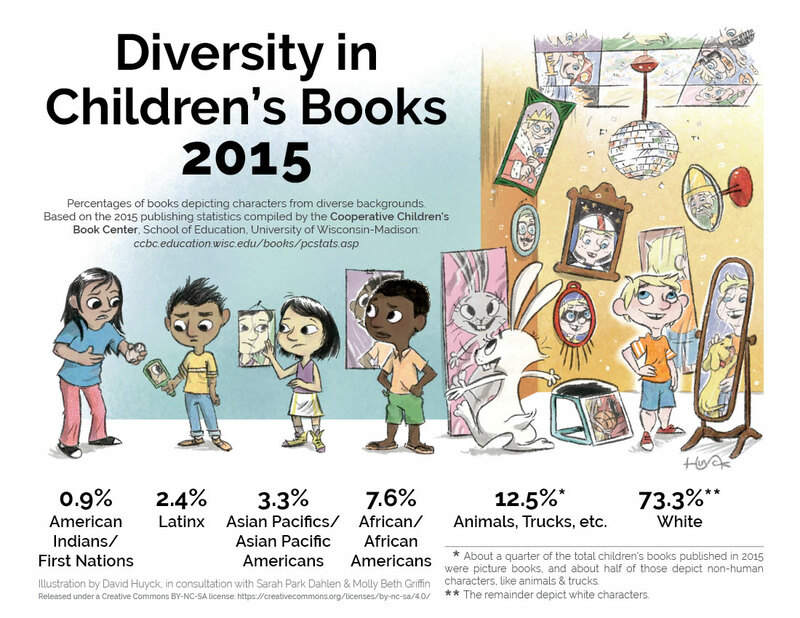 After discovering this infographic and learning that there are more trucks and animals represented in children’s books than people of color, the students were moved to action. This is such a lovely example of students being moved to action on a social justice issue raised through our curriculum and of the power of technology to get their message out to an authentic audience, which is far larger than their classroom community. Ms. Devin’s class was really interested in exploring social issues that were relevant and connected to their local community. Students were motivated to learn more about how to find books with characters from backgrounds similar to their own and that of their friends. 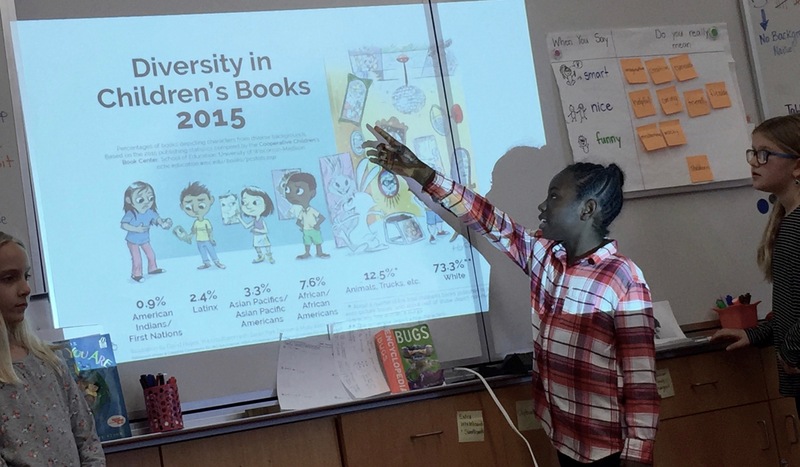 They decided that they could help their Malcolm X Elementary School peers choose books with more diverse characters and to get their message out to an even larger audience. The class came up with a strategy to break into small groups with the goal of conducting research and publicizing their findings in various ways. Some students did interviews with the Malcolm X Library Media Specialist and Vice Principal because they each have influence over what books are purchased. Others created a class web site using Google Sites so that students and families from other schools could learn about this issue and their passion for it. Their web site is published here. 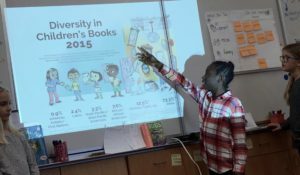 Finally, a team of students created a fabulously interactive presentation using Google Slides and went to classrooms throughout the school teaching a lesson on the importance of diversity in children’s literature. After sharing why they are passionate about promoting diversity in books and some research they conducted, they had students return to their desks to get their current silent reading book. Students looked through their book to determine the diversity of characters and these 4th graders led a rich discussion that included having the younger kids use white boards to write about what they found. 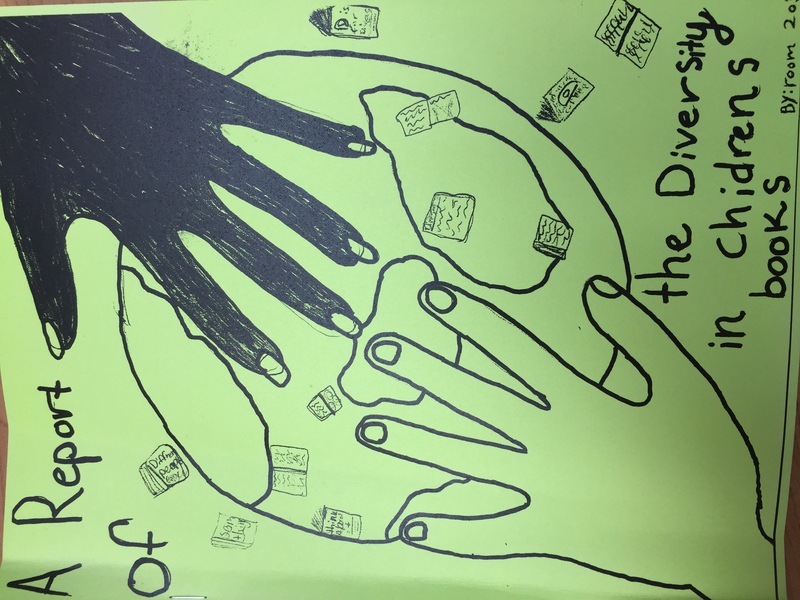 This student-initiated project was both integrated with the unit of study of our reading and writing curriculum, TCRWP, and used technology to more effectively and efficiently reach an audience far larger than their own classroom community. Love it! 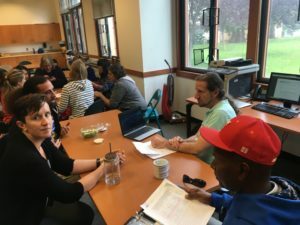 Middle school teachers have been exploring how tech tools can promote opting in during academic conversations (such as Socratic seminars and fishbowl discussions). 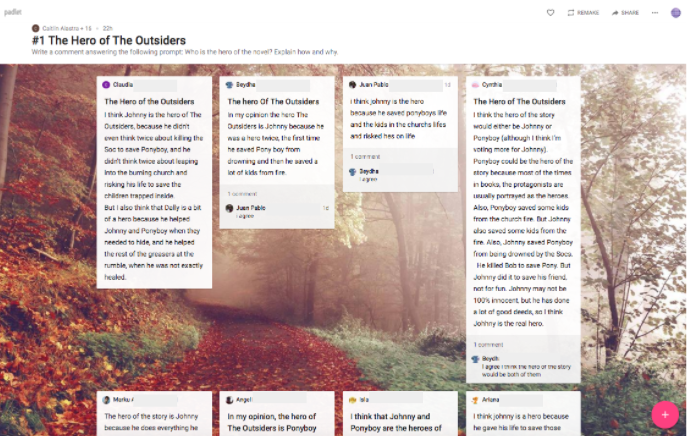 Last spring, Caitlin Alastra’s sixth grade students at Longfellow Middle School used Padlet, an online discussion board, to reflect on the major themes from the novel they had just read, The Outsiders. Caitlin set-up five discussion questions, each on its own discussion board, and students rotated through the prompts, posting their ideas and responding to their classmates. In preparation for the BUSD Oratorical Fest, sixth graders in Kathryn Mapps’ class at Willard Middle School also used Padlet with a modified fishbowl structure to analyze a series of mentor poems. For each poem, Kathryn divided the class into thirds: one group made up the inner circle who discussed the poem and the prompt, another group who documented and reacted to the discussion on Padlet which was projected on a classroom wall, and the third group who served as co-pilots and captured ideas for the inner circle on post-it notes. 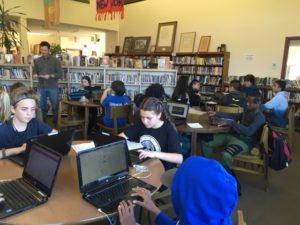 Another awesome tech-infused variation took place in Jill Barash’s 7th grade history classes at Longfellow. 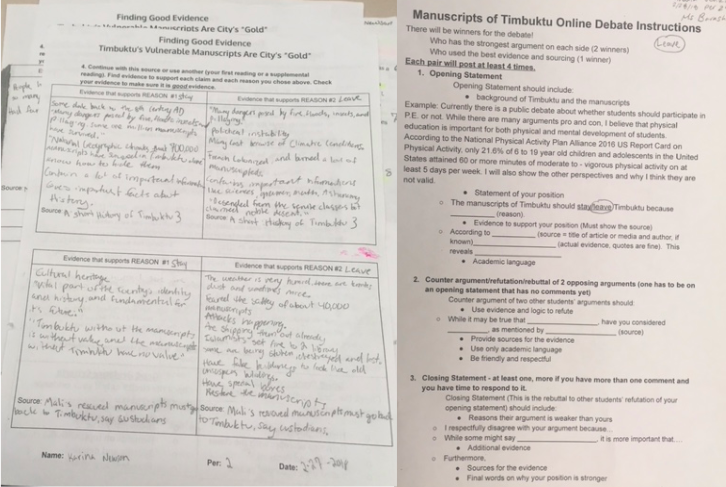 As part of their study of West Africa, students read and annotated a series of articles and watched video clips about the wealth of knowledge found in the manuscripts in Timbuktu. To prepare for an online, collaborative debate, students worked in pairs to collect evidence for or against whether or not the manuscripts should remain in Timbuktu using graphic organizers. Then they drafted an opening statement for their assigned side of the debate using sentence frames. All student pairs participated in the online debate during one class period. Jill explained how the online debate would work and she clearly communicated the academic language expectations and how work would be graded. Students logged into Padlet, an online discussion board, using their Google accounts. Then they accessed links from Google Classroom to one of two Padlets that Jill had set up for the activity–one for pro and one for con. Partnerships posted their opening statement on either the “pro” Padlet or the “con” Padlet, based on their assigned side for the debate. As students were posting their opening statement, they could see and learn from posts from other groups, elevating their thinking and persuasive writing. Once they completed their opening statement, students accessed the other Padlet link for the opposing side. They read through all of the comments and crafted counter-arguments. 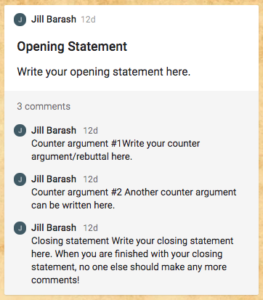 Towards the end of the period, students returned to their initial Padlet, read all of the counter-arguments posed as comments on their post, and responded with a closing statement. This structure provided an opportunity for students to explore the multiple perspectives in rich ways. Everyone engaged and participated throughout the activity. Partners worked collaboratively while sharing their thinking, crafting ideas, writing and responding online. Everyone was heard from — even reluctant voices. The format permitted built-in think time which is especially valuable when students are building rhetorical skills. The debate is also documented. Jill’s students may go back to these boards and review the format and feedback before starting a similar activity in the future. 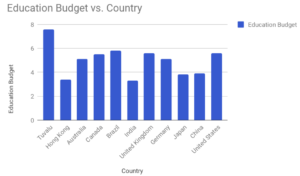 NOTE: Padlet has just announced a pricing restructuring since the time this blog post was drafted and these activities took place in classrooms. Now users can create a limited number of new online discussion boards for free or pay a monthly fee to create more. Please reach out to DigiTech if you’re interested in ways technology can amplify academic conversations and we can figure out an activity and a tech tool that meets your needs. Do your students love doing math? Do they do it cuddled up in bed? Snuggled on the couch? On the beach on vacation? In pajamas on a rainy day? I often wonder if we could universally answer “yes” to these questions if we had as many recreational math opportunities for children as we do for reading. We expect kids to read books of their choice for 20-30 min. a night and have summer challenges to ensure that their love of reading continues to develop even when not in school. 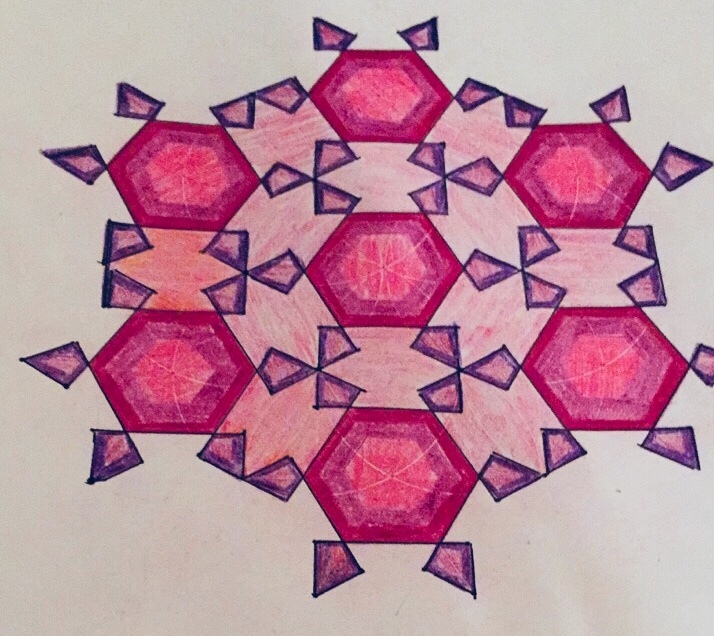 Recreational math can be beautiful and relaxing. 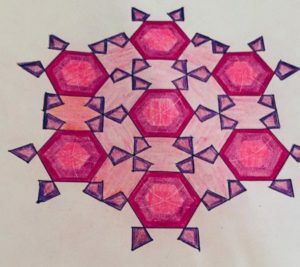 Artwork with compass and straight edge, such as this traditional Islamic design can be enjoyed by students (and adults!) beginning in elementary school. And while there’s no shortage of recreational mathematics, puzzles, etc. done on paper, here are a few favorite ways to have a whole lot of fun doing math on a computer. In class these ideas can be used for free choice, in the after school program, for early finishers, or simply for fun open-ended math homework. At home, these ideas can be used as often as you wish! 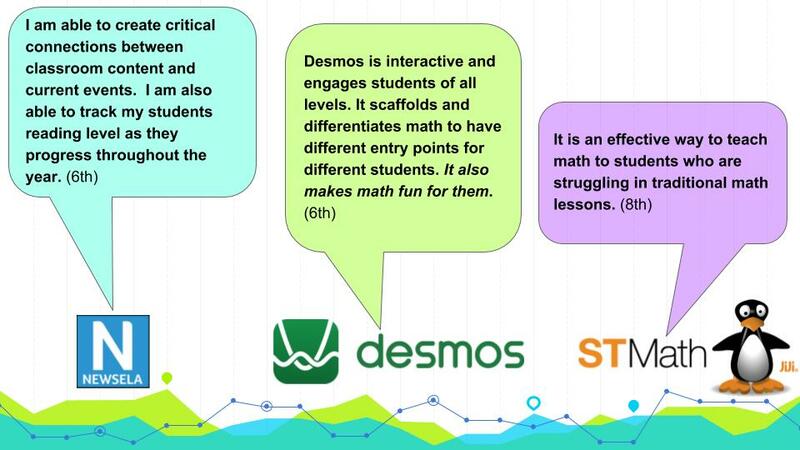 In previous blogs we have shared ways Desmos tools are being integrated with our Engage NY curriculum in math class. However there are many really fun ways to push your mathematical thinking using Desmos simply for fun. Marbleslides are a set of puzzles which become more challenging on each slide following the basic premise of launching balls into a basket. Marbleslide Mini-Golf is a great challenge for 5th graders who are ready to play around in all 4 quadrants when graphing, and an equally as exciting challenge for older students and adults. Watch an example of playing with coordinate pairs to get the purple balls into the hole. 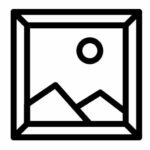 Looking for more Marbleslide fun on different math topics? There are fabulous additional challenges from Desmos. Try them with a friend and you will see that doing them in pairs creates some tantalizing mathematical conversations. Another super-fun set of math puzzles are the Solve Me Puzzles which have three types of puzzles, all building algebraic reasoning. The mobiles can be initially solved using basic arithmetic, however they too become more and more challenging for puzzlers of any ability. Below is an example of the mobiles. Check out their entire web site here to see all three puzzle varieties. The tools to write on the screen are helpful as the puzzles become more challenging. You’re able to make a free account in order to save your progress on the puzzle series. If adding recreational math to class, after school program, or home is something that excites you as much as it excites us, check back later in the year as we launch a BUSD web site with many more ideas. In the meantime, snuggle up and enjoy. 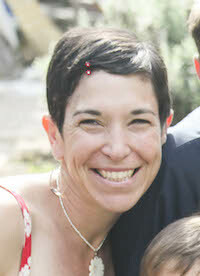 Reach out to allisonkrasnow@berkeley.net if you have recreational math ideas that you’d like included. Ideas spread. This is often the case with teaching and technology. One example of this in Berkeley is using Screencastify with book projects. 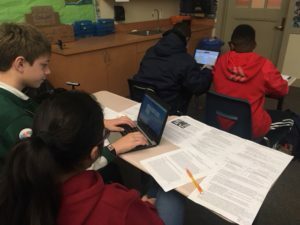 Last June the DigiTech blog featured how fourth grade students in Stefanie Wissmann’s class at Cragmont created and shared screencasts about historical fiction. 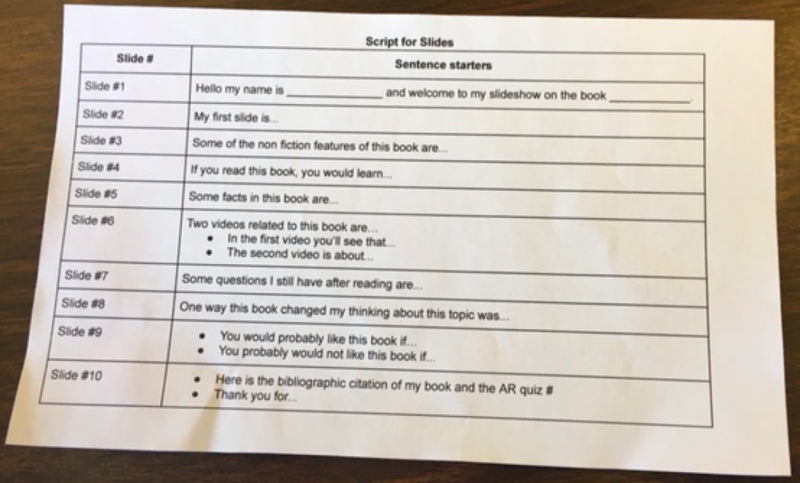 Inspired by this, David Spiegelmann’s 7th grade humanities students at King Middle School followed this format for nonfiction book projects. 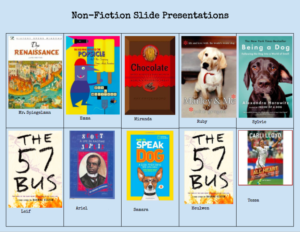 After students completed a nonfiction book of their choice, they created a Google Slides presentation to highlight key aspects of the book. David had students practice presenting in small groups several times. The classes discussed what makes a compelling presentation and agreed that the script shouldn’t be read verbatim. It was more important to hit the highlights and be engaging. Then students were ready to record their presentations. Each class visited the library to spread out. They used Chromebooks to create video recordings using Screencastify, a Google Chrome extension which captures the computer screen as well as audio narration. Screencastify videos are automatically saved in Google Drive so students needed a way to share them. David’s goal was to replicate Stefanie’s launch page so he created a Google Doc that all of his students in his core classes could access to add their screencasts. He figured out the best way to manage this part of the process was to bring up small groups of students, assign them cells in the table, and have students add an image of their book cover and link it to their screencast (see image left). Students also learned how to change the sharing settings so that others can view their work. Afterwards, David had to spend no more than 20 minutes cleaning up the document and changing the sharing settings of the launch page to “view only.” This one document includes links to the 55 screencasts created in all of David’s classes. This way students can view work from David’s other English class. These projects will be posted on King’s library website for easy access. Students will be able to go back to these screencasts in the future when they are searching for nonfiction book recommendations. 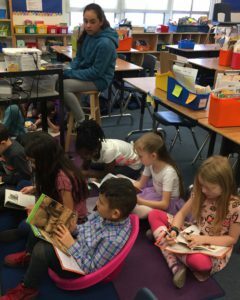 What a fantastic way to share reading!